If your order weighs less than 13 ounces, save huge on shipping with USPS first class (with tracking number). This product weighs 24.2 oz. 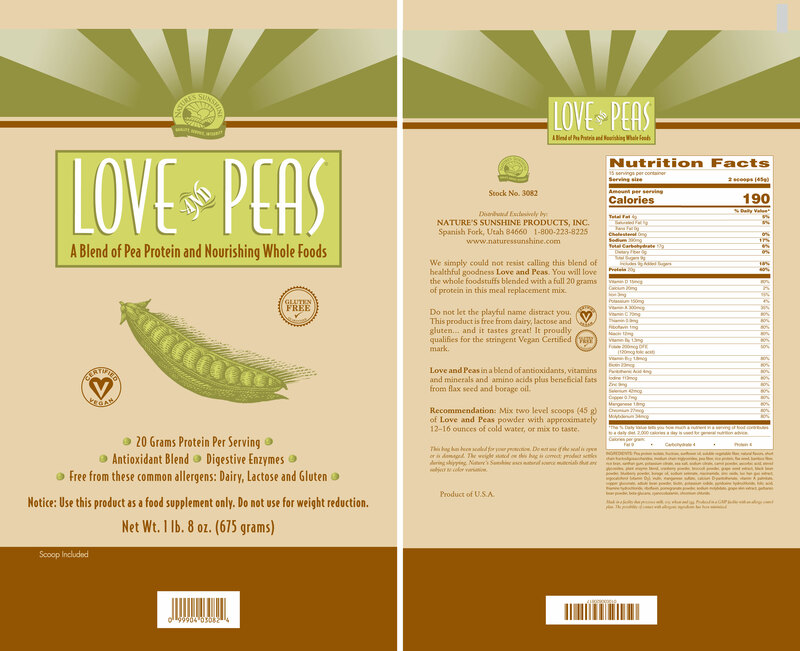 Love and Peas is also available in a sugar free version that contains less calories and still tastes great! 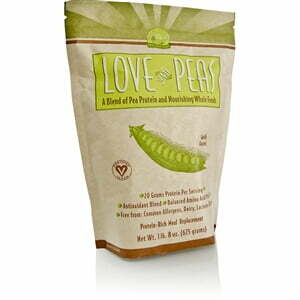 Nature’s Sunshine Love and Peas combines pea protein from split yellow peas with other beneficial nutrients. 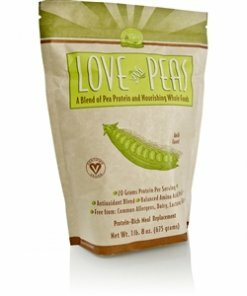 Pea protein has been found to nourish the urinary system and assists the body in regulating already normal blood pressure levels. 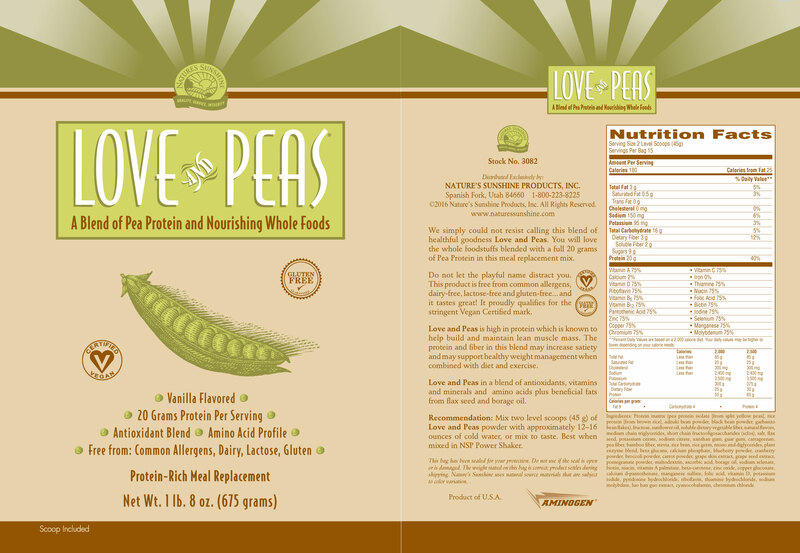 Love and Peas helps breaks down protein with plant-based enzymes. It is a Vegan Certified product and is allergen-free, dairy-free, lactose-free, and gluten-free. One serving is two level scoops mixed with 12-16 ounces of cold water. 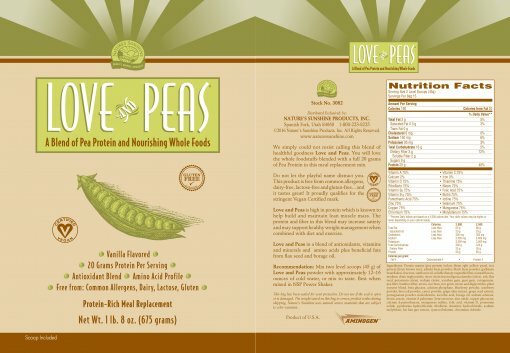 Instructions: Mix two level scoops (45 g) of Love and Peas powder with approximately 12–16 ounces of cold water, or mix to taste. Best when mixed in NSP Power Shaker.